Redmond-based team 343 Industries revealed a new game during the Xbox E3 2018 briefing, Halo Infinite. However, not only it didn’t have a date or a year (unlike Gears 5, which was confirmed to be coming in 2019 despite launching one full year later after Halo 5), platforms weren’t listed either. This, coupled with the new SlipSpace engine demo being front and center of 343i’s own statement on Halo Waypoint as well as their admission that there’s a still long way to go before shipping Halo Infinite, fueled speculation that the game would actually launch with the next generation of consoles. Franchise Creative Director Frank O’Connor was able to clarify that was not the case via the ResetEra forum board, confirming that it’s coming to Xbox One as well as the other more powerful devices in Microsoft’s ecosystem. Yes. Now. And Xbox One X and PC. 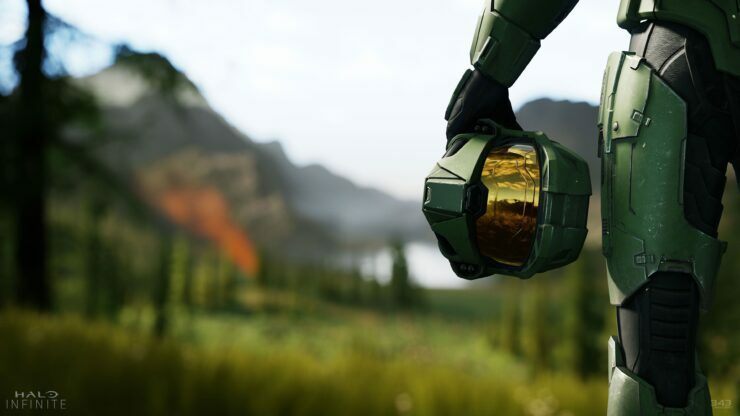 O’Connor also revealed in a couple subsequent posts that Halo Infinite will feel like a new adventure and be a good starting point for newcomers to the saga. It will continue the story from Halo 5: Guardians but will be built in a way that makes it a good place to start your first halo adventure. It will take place after the events of Halo 5 but feel new to new players. Remember how Halo CE woke you up in the middle of a war you had apparently been fighting? There isn’t any additional information available for Halo Infinite yet. However, if the game is to become available on Xbox One it should definitely launch by 2020, possibly in the first half of the year. It’s also possible Halo Infinite could be a cross-generation game like The Legend of Zelda: Breath of the Wild for Nintendo Wii U and Nintendo Switch, though, and just debut in Fall 2020 alongside the new Xbox console – confirmed by Phil Spencer to be in development and apparently codenamed Scarlet.